I was charmed by these hand carved and painted wooden red hearts. I think you will be, too. I've dangled Swarovski crystal buttons from each. They have a very slight tilt because of that which is very flattering framing your face. 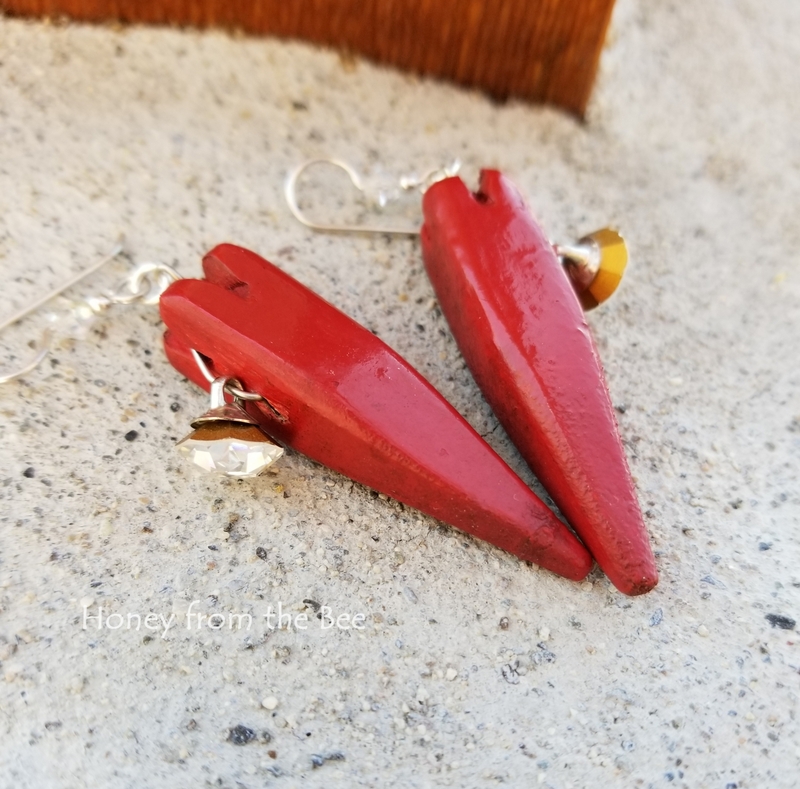 Because the red heart is wood these earrings are very light. 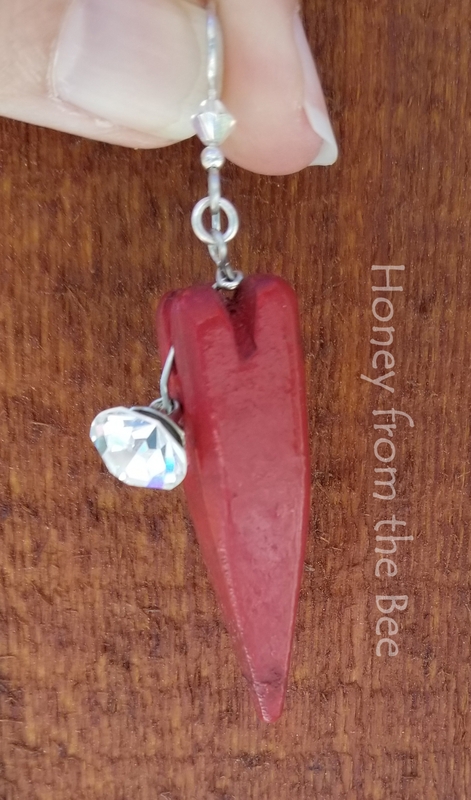 Sterling Silver kidney shaped earwires also have a Swarovski crystal. 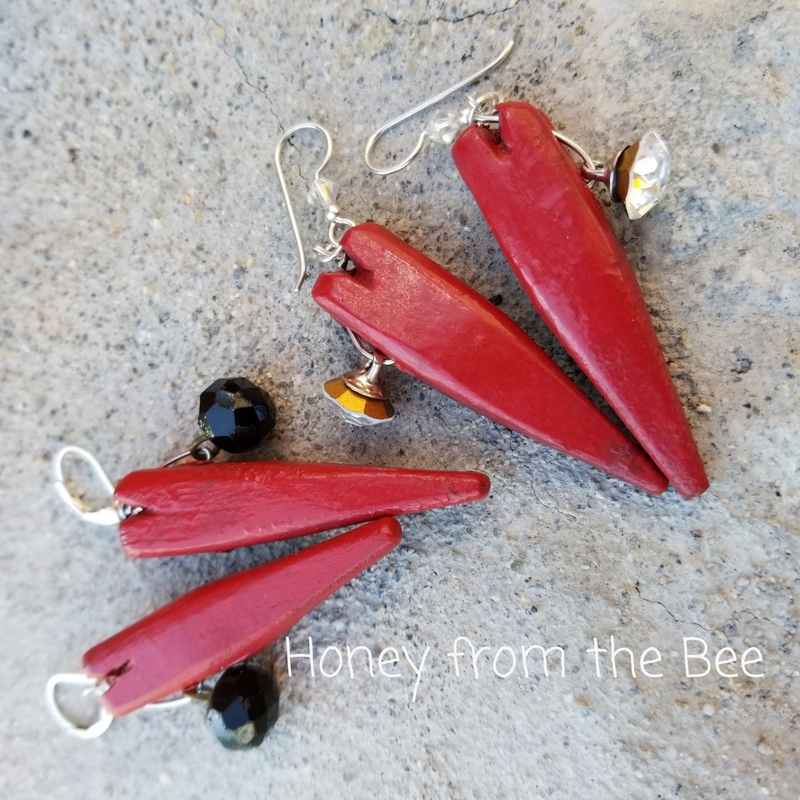 These dangle about 2 3/4" from the top of the earwire to the bottom of the heart. PS. I also make these with vintage black glass buttons which you can purchase here.